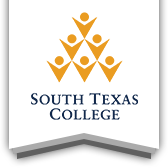 Have you already enrolled with South Texas College? Then continue below to choose your courses and then register via JagNet. Still haven't decided on a program of study? Choose your major. Have a question about your degree plan? Talk to an Advisor. Register early to get the best selection of courses. Having trouble with your password? Use MyPassword to manage your account. You may qualify for financial assistance. Learn more about Financial Aid. Need payment options? Installment Plans and Emergency Loans are available.